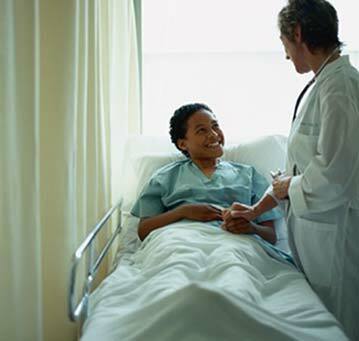 Infections continue to be a significant problem in hospitals and other health care settings. How can physicians, nurses, and other health care professionals improve hand-washing in these settings to reduce the spread of infections? There's an interesting NY Times Blog article titled, "Better Hand-Washing Through Technology" and the author notes an interesting concept: a health care professional would wear an electronic badge (sensor) that would detect whether he had recently washed his hands (or used an alcohol-based sanitizer). Then, when he enters a patient room, the sensors in the room would know whether he had washed his hands recently. Now, that sounds like it would work, except I would want my physician to wash his hands after he enters the room, not before he enters. So, maybe they'll place sensors around the patient's bed. Then again, maybe the patients will wear sensors around their necks. Or, maybe we simply need each patient to ask his/her doctor/nurse a simple question: "Did you wash your hands?"